When we hear the word Crombie, we are likely to think of their overcoats, such is their renown - particularly the three-quarter length style. Crombie has a venerable history. The British company was established in Aberdeen in 1805 and remains British-owned. Let's not forget, however, that they provide more than overcoats. I stood next to a dapper chap at the confectionery counter of Fortnum's who was wearing a blue blazer with yellow cotton trousers. I was picking up some of the excellent gourmet marshmallow they sell there (violet and Rose), supplied by Confektz of Suffolk, which you can also buy directly. Rather taken with the colour of the trousers, I set about searching for something similar. The closest match I've found are from Crombie. 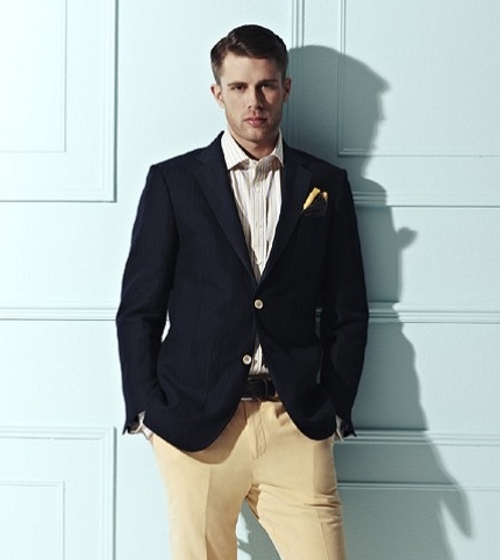 The trousers (above) are part of their Quintessentially British Collection, which doesn't have an overcoat in sight. 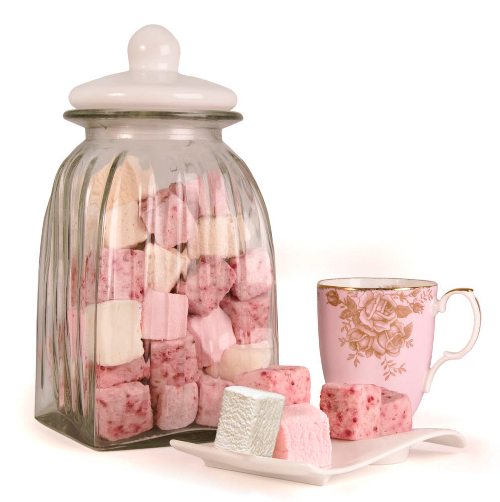 Hi, i was looking for some marshmallows recently to add to a shoot for my new print "sweet ". But all i could find was some horrible synthetic looking confectionary. But you can still check out my print at http://gavinhemporium.bigcartel.com/ with out the marshmallows.